We have been very busy over the winter upgrading our SPORT GrousePRO. Final Testing is now complete and we are very pleased to say the testing has been successful. Available in Single Launcher, Duo Launcher, Trio Launcher and Quad Launcher variants all designed and made in the UK by Sporting Saint. The 'SPORT GrousePRO' range comes complete with its own Sporting Saint Canvas Dummies; Single - 1 dummy, Duo - 2 dummies, Trio - 3 dummies and Quad - 4 dummies, to ensure you are set up ready for your training. What is New about the SPORT GrousePRO ?? Slim line design - the aerial has been built within the body. Remote Handset has been completely redesigned to suit the needs of the user; clearly identified launch buttons, on/off switch and led light illuminates when launch button is pressed. 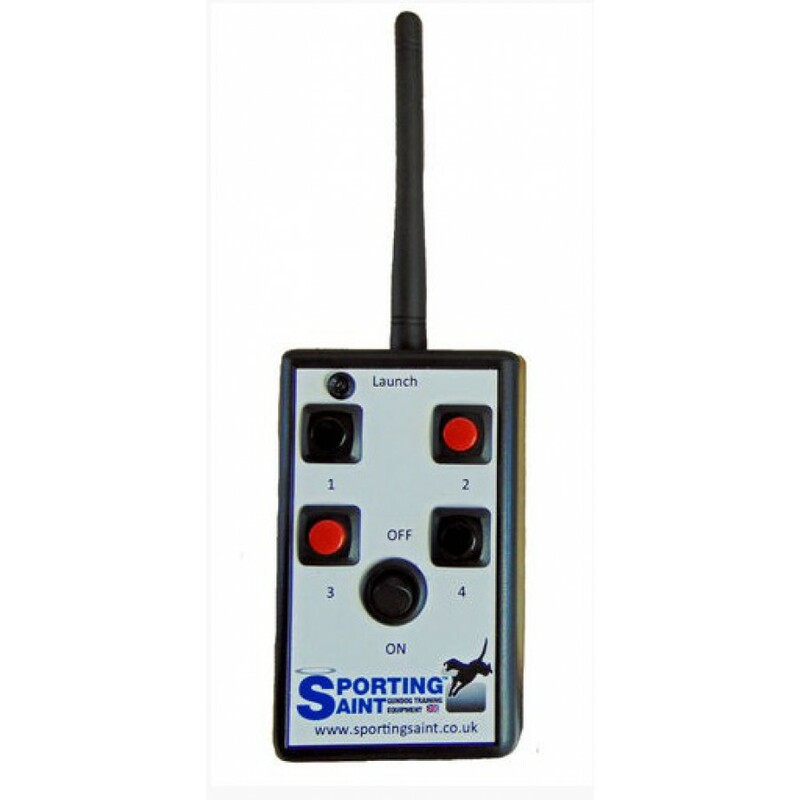 Lanyard attachment complete with a sporting saint lanyard enabling the user to easily access the remote handset when required. Rechargeable battery unit, using an intelligent charger - all supplied with the product. What do I get with my SPORT GrousePRO? All launchers come complete with their launcher heads, electronics inc intelligent charger and user instructions. 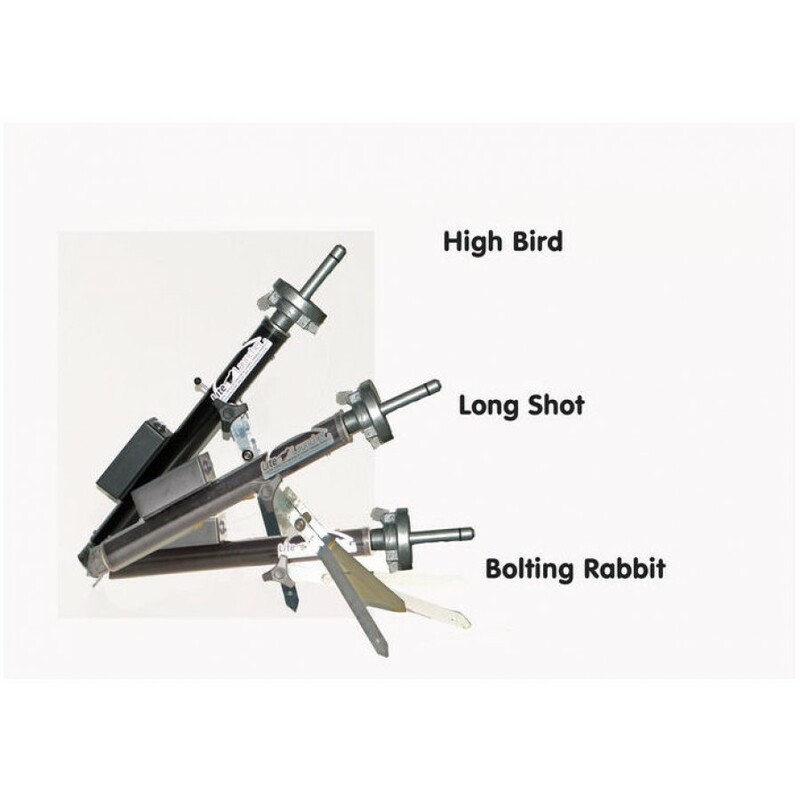 Adjustable leg positions/launcher angle - letting the user choose the best for their training - High Bird or Bolting Rabbit! Simple to operate, makes an efficient and effective dog training tool. Remote Handset can operate up to 4 launchers. Launcher uses .22 launcher blanks - we reccommend the green or yellow! The Sporting Saint Ball Boy will fit this launcher. 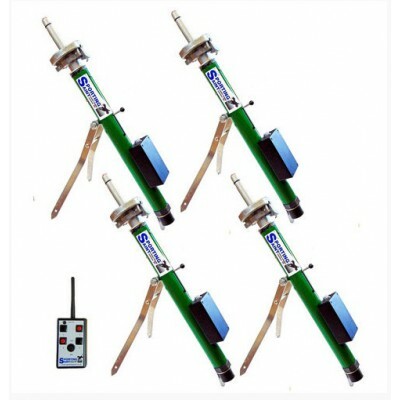 Dimensions - Length of Launcher 68cm, Widest Width of legs 20cm.